Presented by NVIDIA, the GPU Technology Conference (GTC) is the world’s most important event series for GPU developers. Experience two days of hands-on AI training, industry insights, and direct access to NVIDIA experts-all in one place. Secure your spot now. 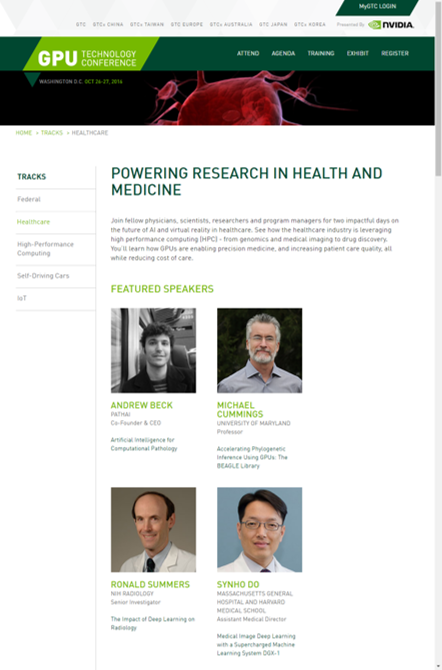 Join fellow physicians, scientists, researchers and program managers for two impactful days on the future of AI and virtual reality in healthcare. See how the healthcare industry is leveraging high performance computing (HPC) – from genomics and medical imaging to drug discovery. You’ll learn how GPUs are enabling precision medicine, and increasing patient care quality, all while reducing cost of care.